If you love potatoes, this dish will amaze you. 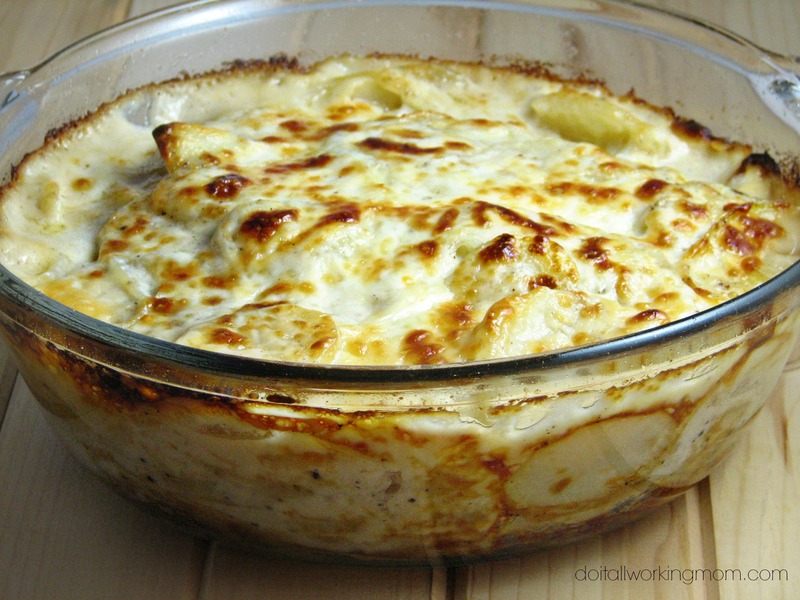 If you don’t like potatoes that much, you’ll change your mind after a bite of these delicious Scalloped Potatoes. 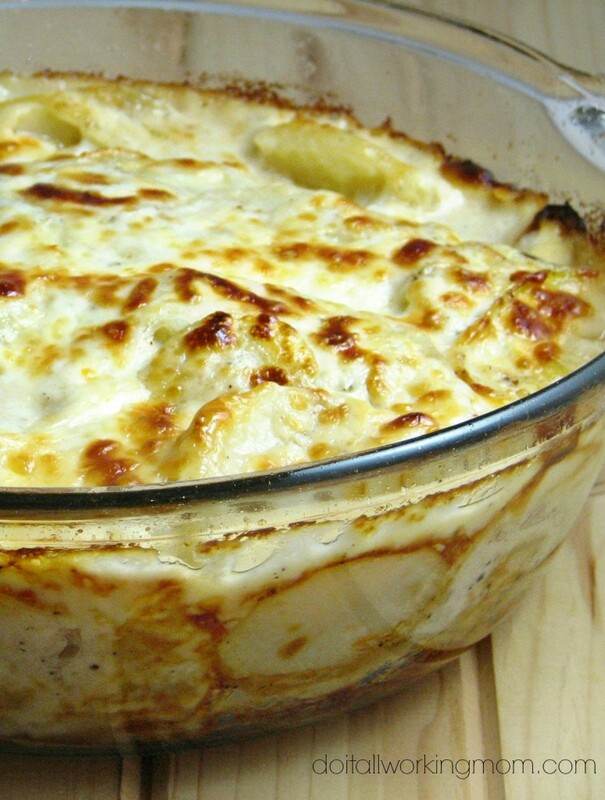 What can be more amazing then slices of potatoes and onions cooked in a creamy cheesy sauce? It’s heaven on a plate. 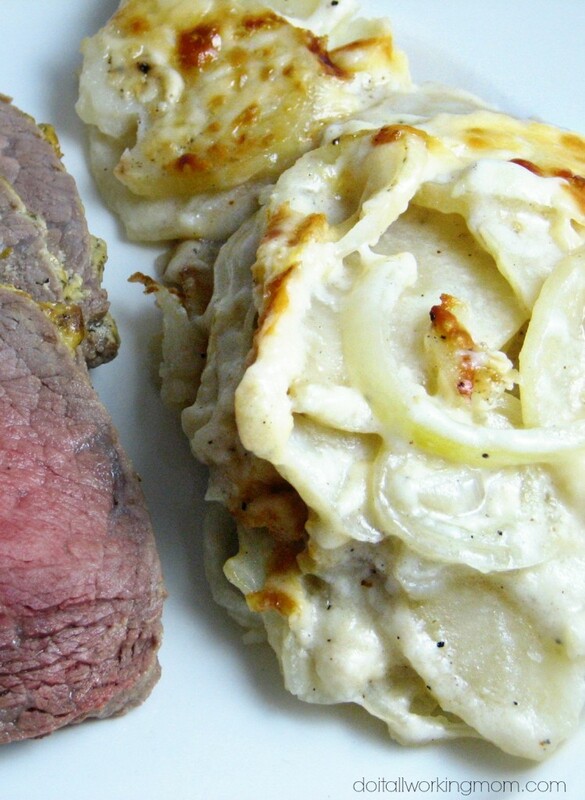 Scalloped Potatoes served with a perfectly cooked Easy Sirloin Tip Roast. In a medium sauce pan, melt the butter on medium heat. Stir in the flour and cook the flour for about 1 minute while stirring. Add the milk and bring to a boil while stirring. When the sauce starts to thicken, add 1/2 cup of grated cheese, nutmeg, salt and pepper. Continue to cook until the cheese is melted. Spray an oven save dish with non stick cooking spray. Add 1/3 of the potatoes, 1/3 of the onions and 1/3 of the sauce. Repeat the last step twice and top with 1/2 cup of grated cheese. Cover, place in the oven and cook for 45 minutes. Remove cover and cook for an extra 5 minutes until top is golden brown. Let the Scalloped Potatoes rest for 5 minutes before serving.